Signups are now closed. First meeting will be on Saturday, 9 January 2016. 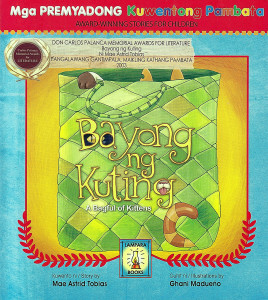 In January 2016, we will be writing new short stories for children, based on the book BAYONG NG KUTING (A Bagful of Kittens) by MAE ASTRID TOBIAS, published by Lampara. Stories finished during the class may be selected for an upcoming anthology. This class is free and mostly online, with lessons delivered through email. There will be two optional face-to-face classes. Participating authors must be free to enter a distribution agreement with the sponsor of the class, Bronze Age Media. 1. From the BRONZE AGE MEDIA table at Filipino ReaderCon (November 28, DLSU Manila, http://filipinoreadercon.wordpress.com). Free copies available for those who show up early! 2. 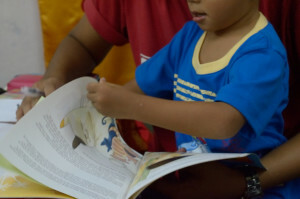 During the first face-to-face class on January 9, in Metro Manila, venue to be determined. 3. From BRONZE AGE MEDIA (books@bronzeage.ph) and have it shipped to you (PH addresses only).